A striking necklace comprised of 53 individual gold stems strung on a gold woven cord. 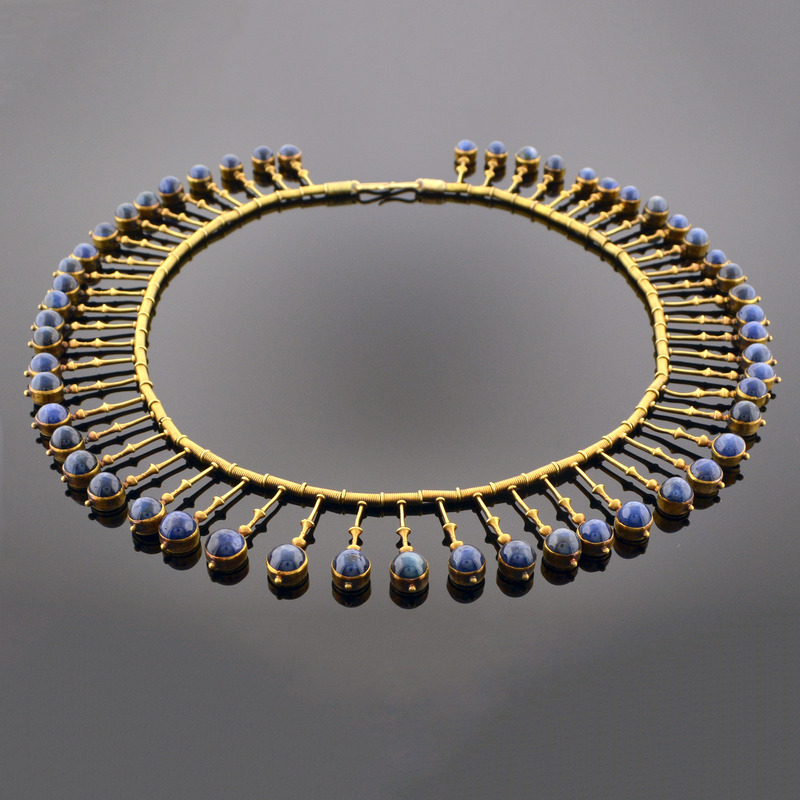 Each stem features four shaped gold beads and one round cabochon blue sapphire set bezel style. These sapphires have a combined weight of approximately 53 carats. Each stem is fitted alternately with a small section of coiled gold wire; the entire strand is clasped with a figurative “S” hook. Signed “C&AG” with original fitted leather case.